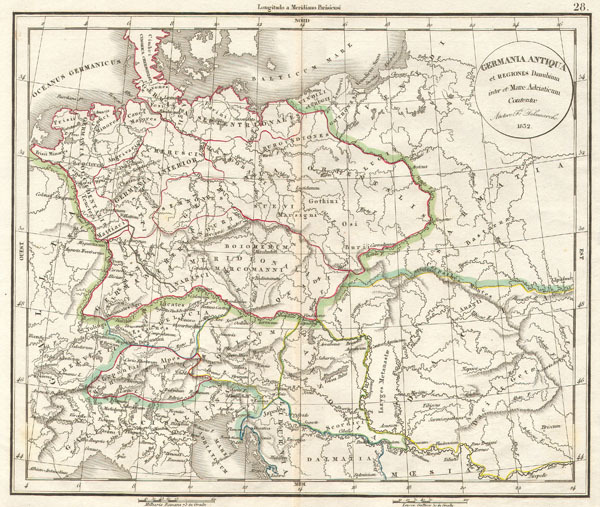 Delamarche's Map of Germany in Roman Times. This hand colored map is a copper plate engraving, dating to 1832 by the well known French mapmaker Delamarche. It is a representation of Germany in the times of the Roman Empire.